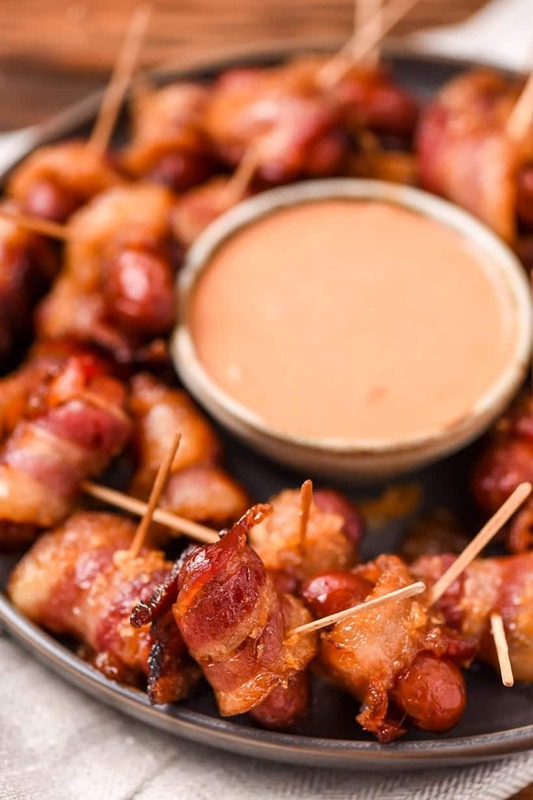 Three ingredient Bacon Wrapped Smokies with a sweet, sticky glaze and creamy, spicy dipping sauce. No one can resist Meat Candy! The first time I made meat candy was back in 2011. No one I knew had a Pinterest account. It was practically the stone ages. Back then, I wasn’t exactly known for my cooking skills, unless of course you count boxed mac and cheese. I could make a mean blue box mac. In 2011, if you wanted to find a new recipe, you Googled it, and nine times out of ten, you’d be taken straight to allrecipes.com. I spent many hours in those first years of marriage clicking through tiny, grainy photos of food, looking for our next dinner. I had some successes. I had some failures. And then I discovered Meat Candy. The recipe seemed simple enough for a newbie cook. It was essentially bacon wrapped little smokies smothered in brown sugar. A little odd, perhaps, but bacon was having a moment back in 2011, so bacon-anything seemed like a sure fire win. I expected this combo to be good. I didn’t expect it to be this good. I’m pretty sure if we hadn’t already been married, the Mr. would’ve proposed after the first bite. I realize you may be skeptical. Can three ingredients really be that good? Answer: Yes. Yes, they can. Pork wrapped pork + brown sugar = magic. It’s basic math. 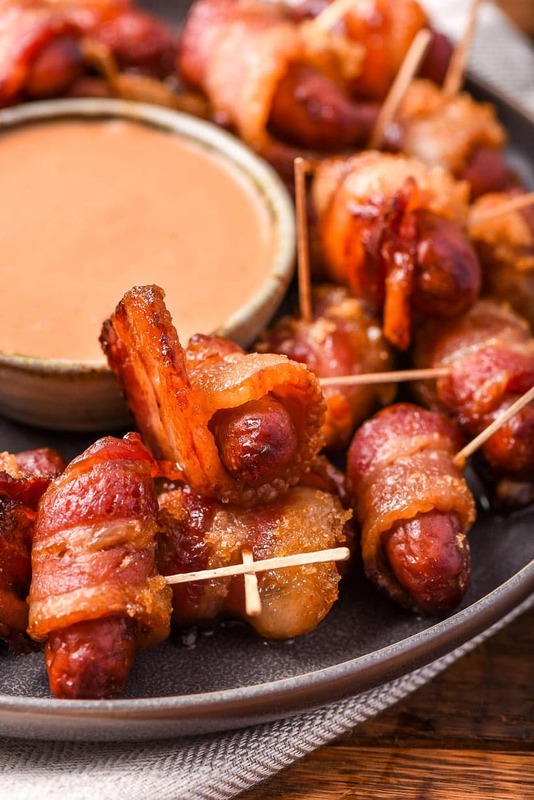 Besides, it can’t be pure coincidence that one package of bacon happens to be the perfect amount to wrap all the sausages in a package of Lit’l Smokies. 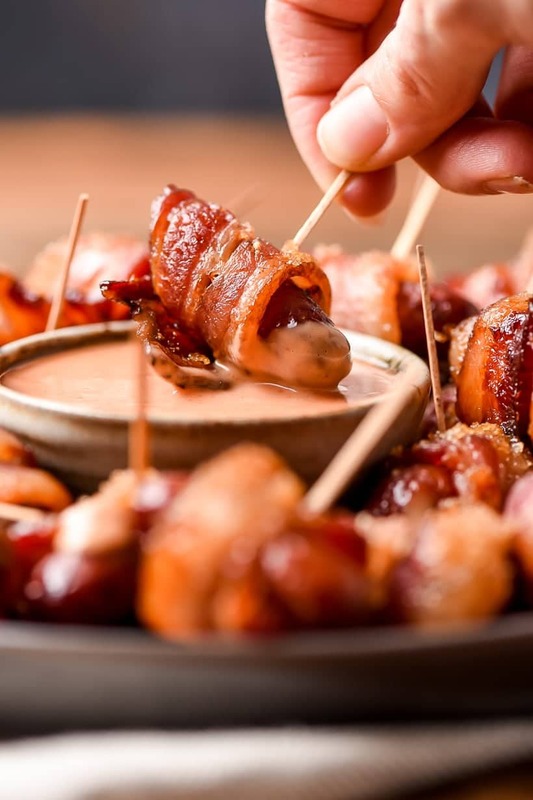 Since we first tried meat candy, we’ve taken this appetizer to multiple parties, and they always, ALWAYS disappear. 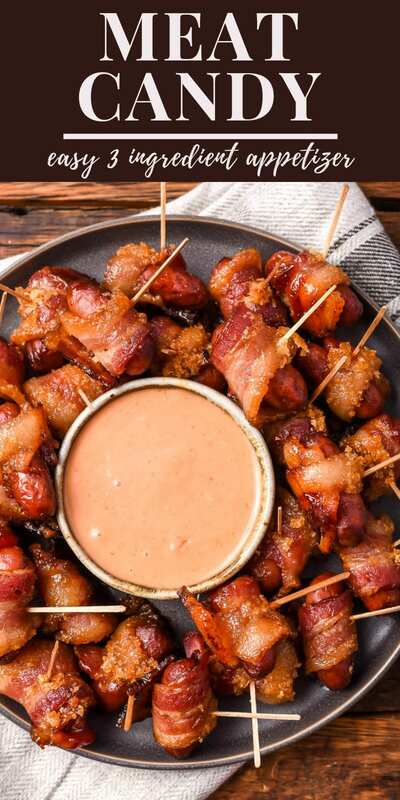 We’ve gotten a few raised eyebrows over the term “meat candy” (one friend guessed it was a bacon wrapped Snickers), but one bite is all it takes to win people over. Beware, scoffers. 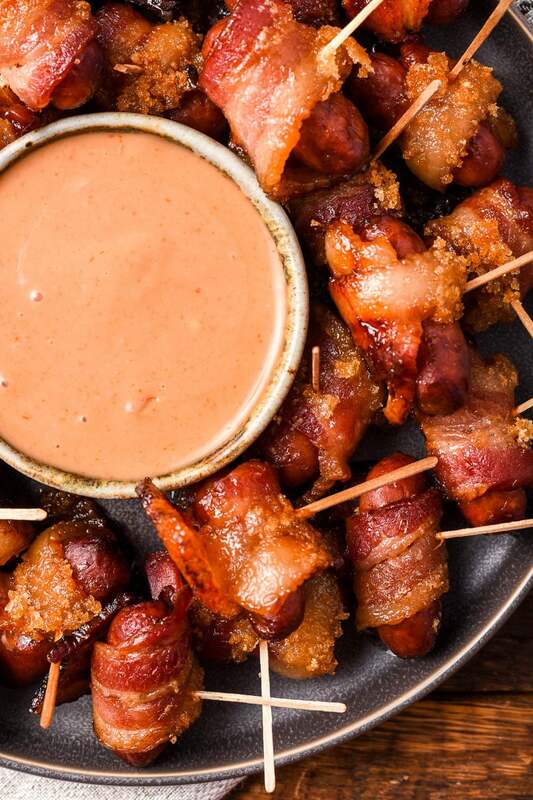 No one can resist the power of crispy, chewy, juicy, savory, sweet Bacon Wrapped Smokies. I didn’t think this appetizer could get any better. Then we added a dipping sauce. YOU. GUYS. I could write an entire post just about this sauce. It’s a simple mixture of mayo, ketchup, maple, and Sriracha. Like the meat candy, it might sound a little strange, but my GOODNESS, is it ever tasty. 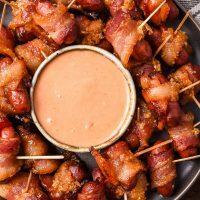 It’s obviously the perfect dipping sauce for the meat candy, but it also happens to be excellent with, oh, I don’t know, every single other thing you can think of. If you happen to have leftover sauce, smear it on sandwiches, use it as a dip for french fries, or serve it as a side with scrambled eggs. 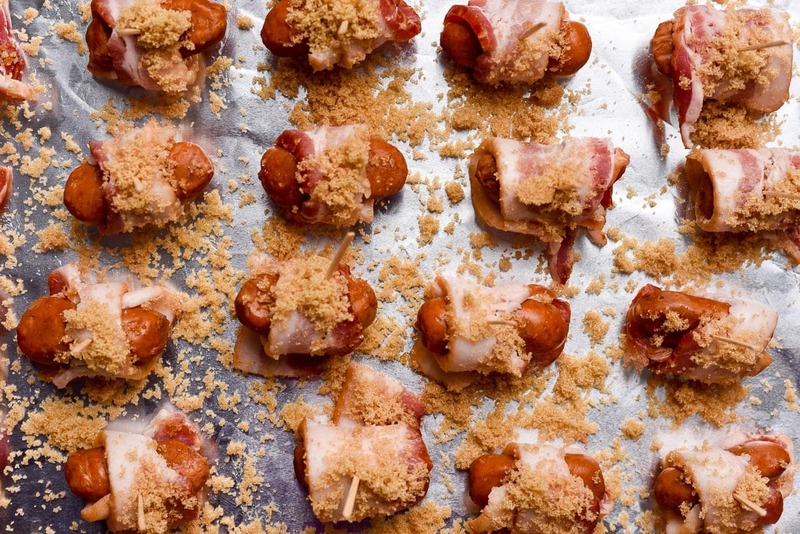 One last tip: If you’re making this for a party and need to keep it warm, simply drizzle a little maple syrup in the bottom of a slow cooker and layer the meat candy on top. The warm setting will keep them hot and crispy for as long as they last, which I promise you won’t be very long. Looking for more party worthy appetizers? Try these other family favorites: Three Cheese Lasagna Dip and Hot Crab Dip. 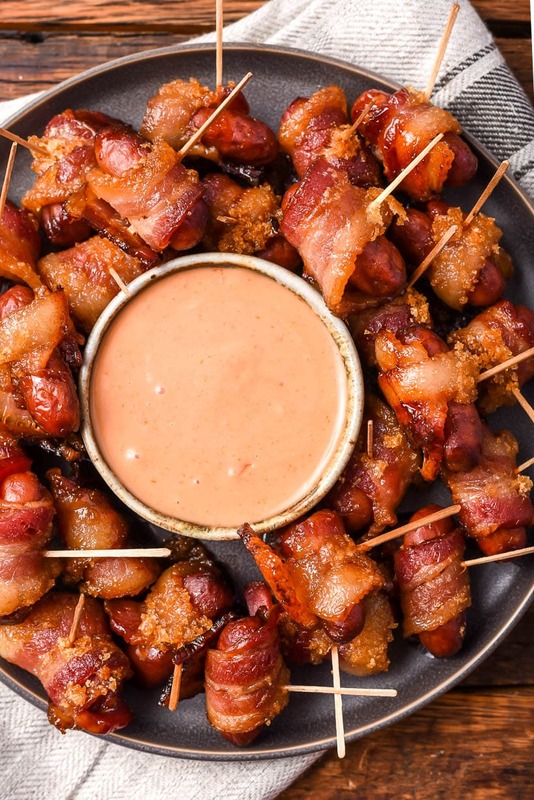 Savory Lit'l Smokies are wrapped in bacon and smothered in brown sugar for an easy appetizer that is truly irresistible! Wrap one (third) piece bacon around one smokie and secure with toothpick. 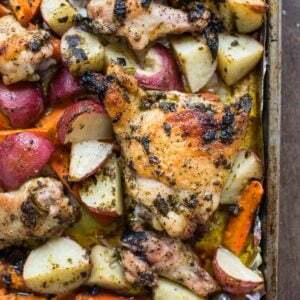 Place on foil lined baking sheet. Repeat until smokies and/or bacon runs out. 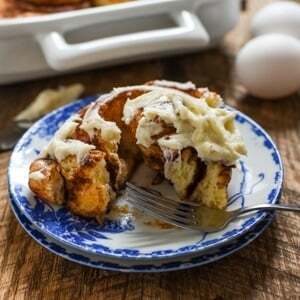 Smother with brown sugar. Really. I usually don't measure, but you'll likely need between 1/3 and 1/2 cup. Just make sure all the pieces have a good amount of brown sugar on them. Bake for 35-40 minutes or until bacon is cooked through and crispy. Serve immediately OR keep warm by pouring a thin layer of maple syrup on the bottom of a crockpot, set on WARM, and layer meat candy on top. To make the dipping sauce, whisk all ingredients together. Serve with the smokies. Leftovers can be used for sandwiches or as a dipping sauce for vegetables or French fries. I find that thin sliced bacon works best for these. If you have thicker bacon, feel free to give it a little stretch before you cut them so the pieces are a bit longer. This makes for easier wrapping. Make sure you get the smoked sausage kind and not the cocktail weiner kind. If you'd like to add some heat to these, feel free to stir a few pinches of cayenne pepper into the brown sugar before sprinkling it on. My husband would love these! He loves the smokies, bacon, and the Bucks! You know what we’ll be doing tonight, and I’ll have to try this recipe. Yay! I love finding other food and Buckeye lovers! Two of my favorite things (besides bacon) which I know you also enjoy so win, win, and win! Oh my gosh!!! I know what to take to the next potluck at work now. Thanks for posting this.